Come join in Beth Ahabah’s Shabbat evening services! Everybody is welcome, and services are free of charge. Beth Ahabah offers many different kinds of Shabbat services throughout the year, but they are always interactive and usually feature a Torah service and music from Beth Ahabah’s outstanding choirs. We have two alternating times for services. First and Third Fridays begin at 6:15pm, other Fridays begin at 7:30pm. Please always check the calendar each week for times. On First Fridays, the evening begins with light snacks at 6:00 p.m. before a 6:15 p.m. service featuring Kol Simchah (our Youth Choir) followed by a Shabbat Dinner ($10/adult; children free) and supervised activities for children while adults enjoy socializing after dinner. On the third Friday of each month we have early services at 6:15pm. Services are held in the Gumenick Chapel at 6:15 p.m.
A Preneg Shabbat at 6:00 p.m. precedes the service. There are Shabbat morning services only when we are observing and celebrating a child’s becoming Bar/Bat Mitzvah. Shabbat morning services begin at 10:00am, and afternoon services begin at 5:00pm. Everyone—members, non-members, visitors and students—is welcome to attend and participate in all of our worship services. Our siddur, or prayer book, is Mishkan T’filah, the newest prayer book of the Reform movement. Once a month, services feature our adult volunteer choir, directed by Natan Berenshteyn, whose music ranges from contemporary to classical. Our smallest congregants are celebrated as well with Tot Shabbat, an informal Shabbat service for very young children and their families which is held about once a month. Tot Shabbat includes a short service, followed by a snack and activities. They are held on Saturday mornings at 9:00am. 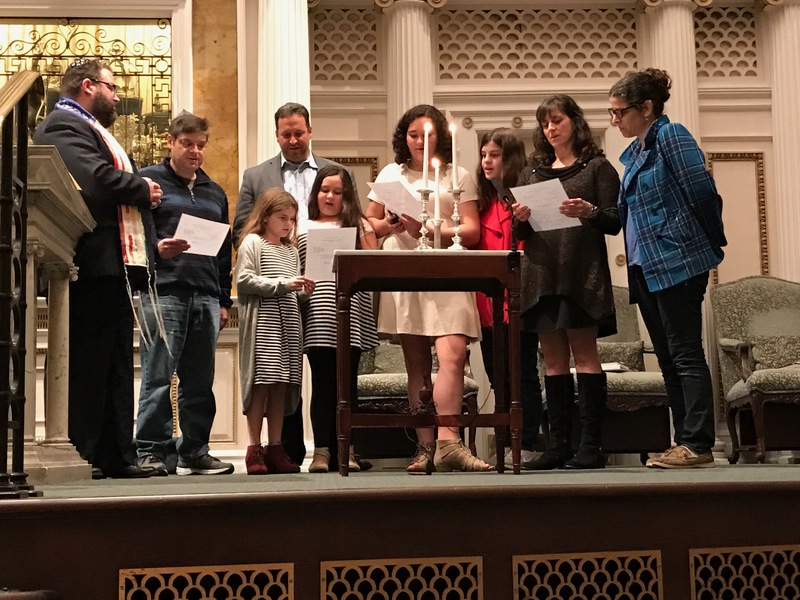 At some Shabbat evening services during the year, we honor members of the Congregation, such as volunteers or our auxiliary groups. On occasion, we use creative services made especially for the evening and welcome guest speakers to the Congregation. For more information on our Shabbat services, contact the Temple office at (804) 358-6757.